It’s the Jungle Jamboree but who will be crowned the most beautiful of all? Lion, Leopard, Hippo, Zebra? 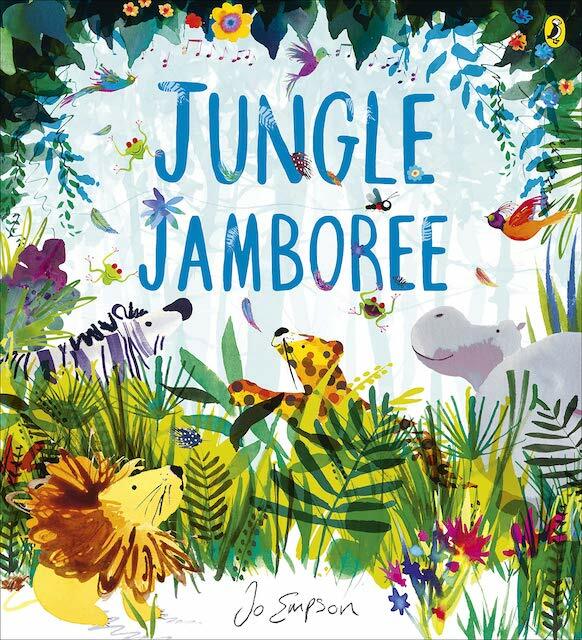 The jungle creatures all try to change themselves to win the jamboree, but Fly has a surprise in store – soon the animals learn that they are lovely just the way they are, and that kindness is the most beautiful thing of all. Jo has done a remarkable job with this stunning hand-painted artwork featuring amazing explosions of colour because she is very passionate about the natural world. What I love about the story is that it is provides a strong message about loving yourself and the importance of kindness which children these days need to be reminded of. Jo’s previous work include Rabbityness, which has sold in seven languages and was shortlisted for the Waterstones Children’s Books Prize, and Chimpanzees for Tea (which we already voted Bedtime story of the week in April 2016), distributed to over 100,000 children by the Dollywood Foundation. 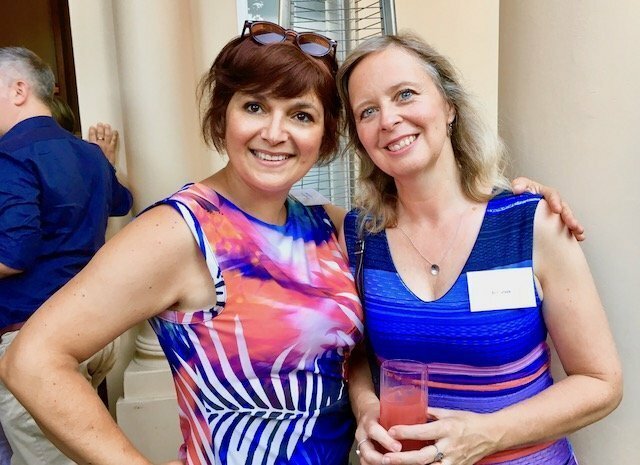 Here I’m hugging the lovely Jo Empson at the Penguin Random House Summer Party 2018. Jo Empson graduated from Cambridge School of Art with a MA in Children’s Book Illustration. Jo is never happier than when she is swept away in storytelling, whether writing, illustrating or just reading a favourite picture book (which she still does every night!). Her first author/illustrator picture book, Rabbityness, was nominated for eight awards and shortlisted for the Waterstones Children’s Book Prize 2013. This entry was posted on Tuesday, February 12th, 2019 at 11:15 am and is filed under Books. You can follow any responses to this entry through the RSS 2.0 feed. Both comments and pings are currently closed.